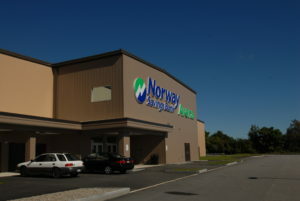 The first dual-sheet arena in Maine, Norway Savings Bank Arena, developed interesting challenges relating to future usage. During the warmer summer months, it was unknown if two sheets of ice could be self-sustaining. This led to planning for multipurpose-use of one sheet and, for the second sheet, use of the dormant ice floor for the potential of graduations and other events. The 1,200-seat arena, rink one, was designed to accommodate up to 4,000 people. 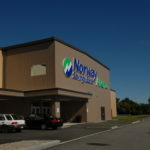 The smaller arena, rink two, was designed to be maintained as an ice sheet for year-round patrons. As this would be an entirely new arena, consideration was given to use of reclaim heat for reducing energy costs, with air conditioning also being a prime concern—all while keeping initial costs in line. 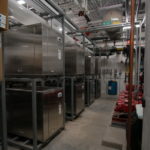 A design was formed to install nine ice3 Cube units to act as modular refrigeration units while cohabitating within a boiler room. 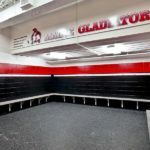 The use of reclaim heat and air conditioner was planned for the locker rooms and the entire second floor common viewing area. When sheet one was not online, 200 tons of AC-chilled glycol was designed to be delivered from five of the units. 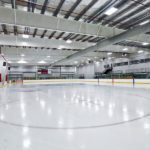 In addition, a supplementary air handling unit was provided to allow for ventilation and temperature control of rink one when 4,000 patrons are on the dormant ice floor and while rink two still has ice. 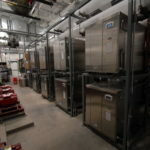 The installation of the ice3 Cube units allows the modular chillers to efficiently match the refrigeration load, while permitting redundant equipment to serve air conditioning needs. 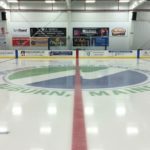 This ice3 Cube system also permits multipurpose-use of rink one, depending on an ever-changing business model. 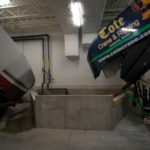 In addition, reclaim heat is used to heat the facility, all while reducing fossil fuel costs and carbon footprint.